Ann I Am! 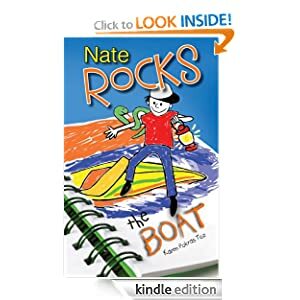 : #Free Nate Rocks Book @Amazon.com TODAY ONLY! #Free Nate Rocks Book @Amazon.com TODAY ONLY! Download your free copy of Nate Rocks the World by Karen Pokras Toz TODAY ONLY! You can download this for free to your Kindle or Kindle reader for the iPad/iPhone/iPod. Thanks to Freebies4Mom for the heads up on this one!